This is an unbelievable deal! 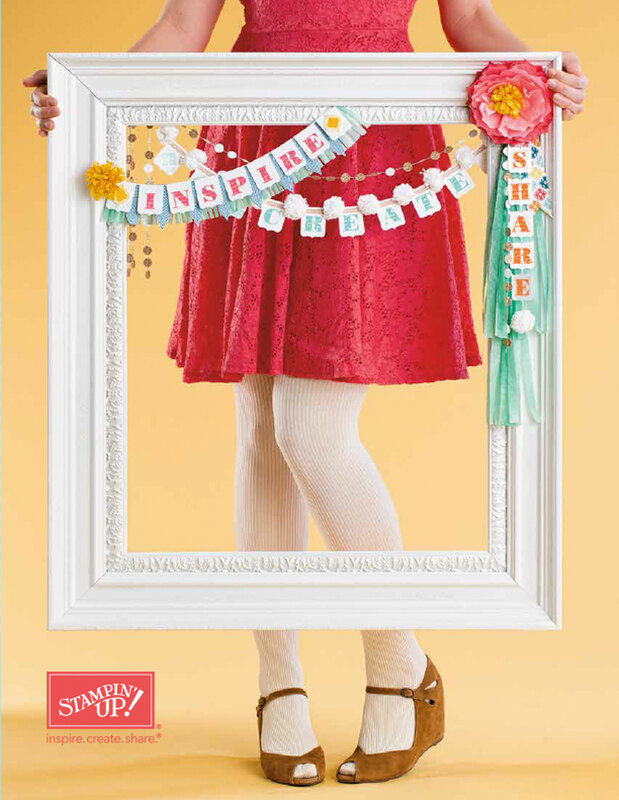 The chance to join the Stampin’ Up! family at a mini-price. It’s how I got my start just over 2 years ago when they had their special offer. Stampin’ Up! don’t offer the mini start-up kit option very often – so if you have been thinking you’d love to get the ongoing discount on your own purchases (like I do!) then NOW is the time to act. 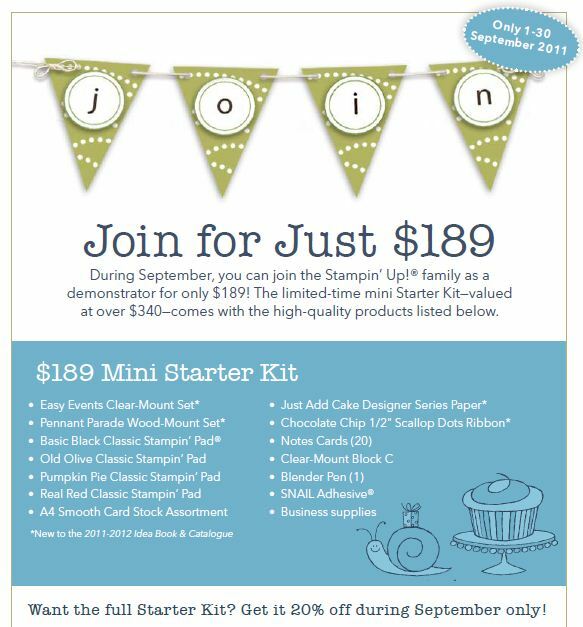 For September only, you can join for just $189 – and receive $340 of wonderful product. Although the price is discounted, you still get full Demo status – meaning you get to either keep or earn 20% on all orders you place – and a FABULOUS extra 10% on your very first order you place as a demo. This really is a fabulous opportunity to either earn a bit extra – or take advantage of the demo discounts if you’d prefer to just place your own orders. Either way, contact me to organise a coffee and muffin date to learn more! ← The newest Idea Book and Catalogue is here!